This started as a billet end that looked just big enough to forge something out of... one should never let good steel go to waste. I'm asking $175 for this one.
" I have found that it is very often the case that if you state some absolute rule of history, there will be an example, however extremely unusual, to break it." Can you show me a photo of how that seax looks like when handled for comparison? I'm working on it, having technical difficulties with my camera. Now I see it. Thanks for that. This one has been setting around too long, I'm dropping the price to $150. A seax this size is quite expensive. 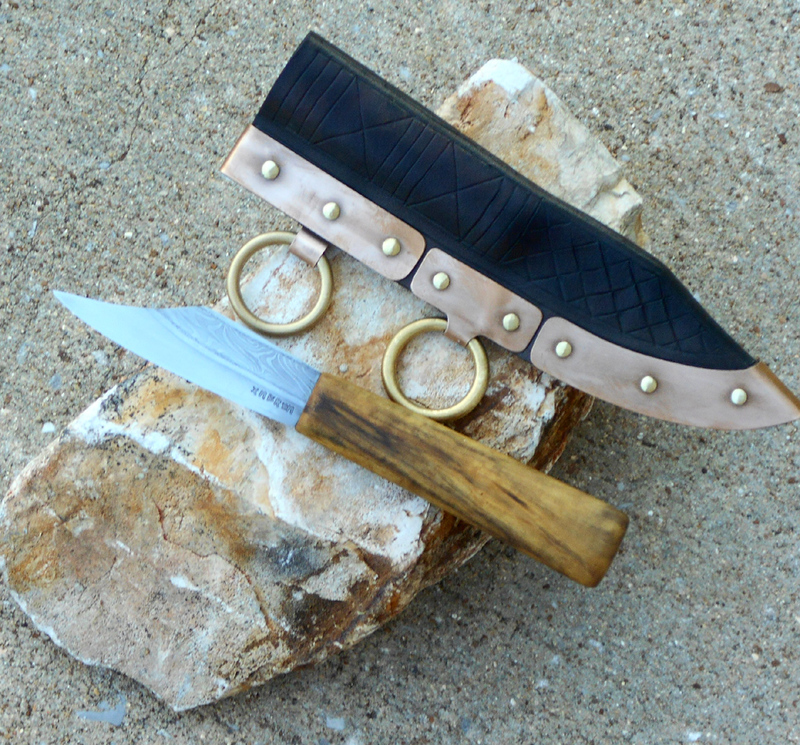 When you consider the time that it requires to weld up, forge, grind, heat-treat, polish, and etch the blade, inlet the tang, shape, and polish the handle, then wet-form, emboss, and make the metal fittings for the sheath... you're getting a bargain... and I'm certainly not getting rich. If you think you can make one of equal quality for a lesser price, by all means go for it. Otherwise, I suggest you keep it to yourself. 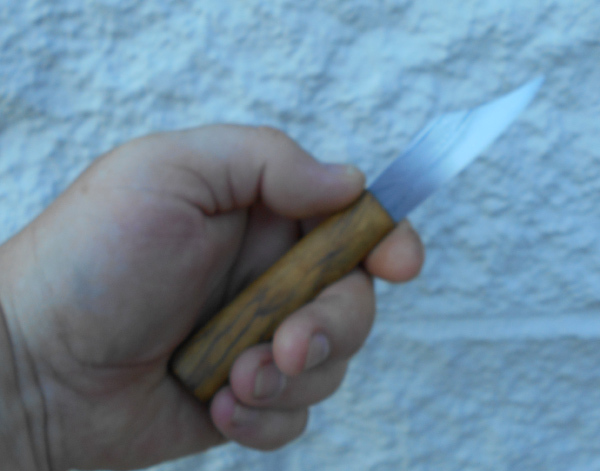 A seax this size is quite expensive. Eek! Shahril, haven't we been here before with the sword ? You may think it is expensive, but there are plenty of others (me included) that feel this is a very reasonable price indeed for this piece. There are plenty of aspects of this piece to comment on whether you like it or not, the maker will find the comments useful, however just to comment on the price is a rather pointless thing to do and gains none of us anything. $175.00 for that? A bargain. 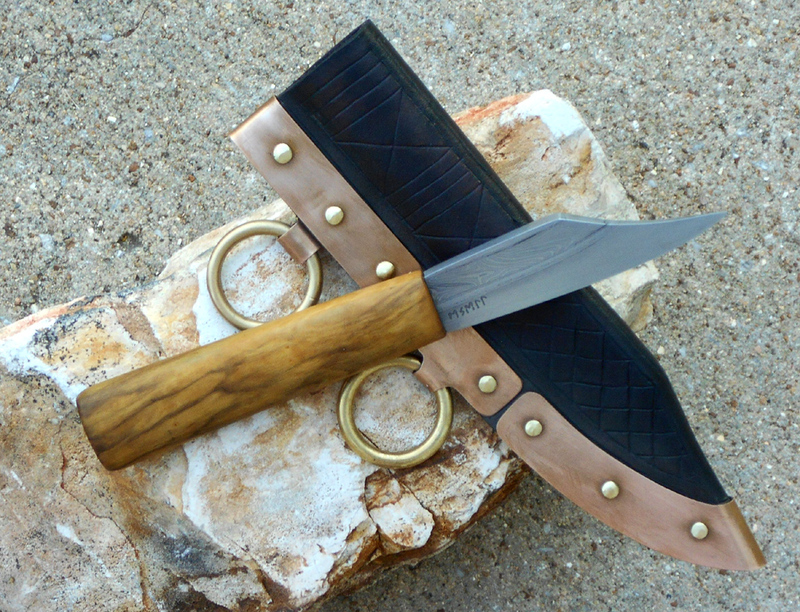 Oh yes, this is a great price for this seax! 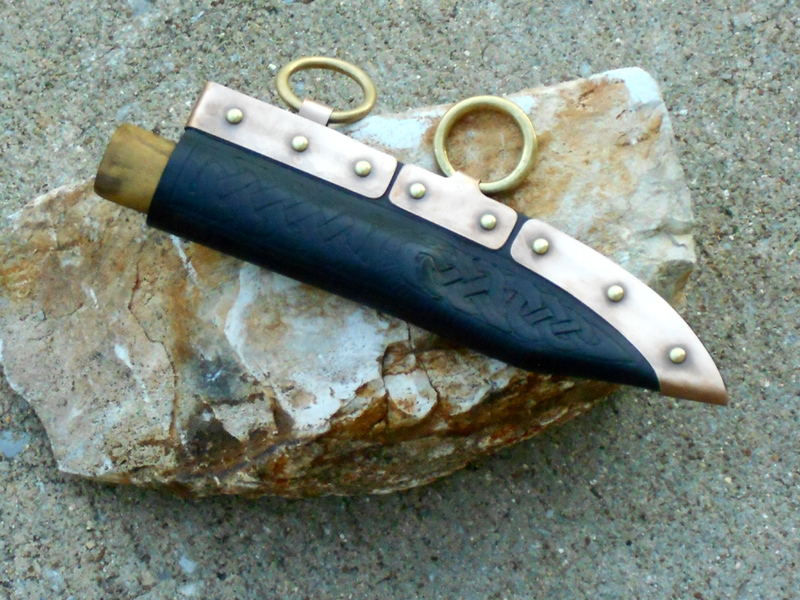 I am wondering if inscribed runes would be historically appropriate for this type of seax. I am not sure that I have seen non-inlaid lettering on sexes. This really is a super-cool little knife.